Nail Down the Job You Want! Most people convince themselves that they are ready for the interview. 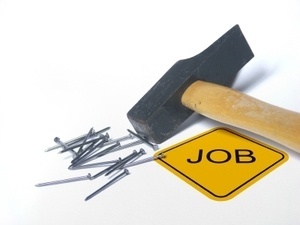 Truth is more than 63% of job seekers go into the interview not fully prepared. During an interview the focus is on YOU and your ability to interview better than your competition.You must be prepared to impress the interviewer and convince him or her that you are the right person for the job. If you don't speak about yourself in this way, who will? Start today working with Coach Linda to ensure that you start down the right path - landing your next job ASAP! THE AGE OLD ISSUE OF AGE AUDIO CD FOR THE "OVER 50 JOB SEEKER"
Age bias is alive and well! Don't let it stand between you and your next position. Get advice and solid action right now that you can take with you on your search for a new career. Feel confident about your skills and your age! Coach Linda inspires your audience with a message of success by focusing on the skills and attitude needed for career success during these difficult economic times! She speaks to your group's issues and motivates them to take action now! I know the women truly appreciated your talk and expert advice! It will make a big difference in our client's life as they go through the transition back into the workforce. After attending your workshop, I purchased your CD “The Age Old Issue of Age”. I learned so much from it and saw myself making some of the mistakes you spoke so eloquently about. I am better prepared to go into my next interview which is this Friday. Thanks for your guidance! Copyright 2019 by Trignano Consulting, LLC.